On 7 March 2013, the 57 OSCE participating States unanimously agreed to reappoint the OSCE Representative on Freedom of the Media, Dunja Mijatović of Bosnia and Herzegovina, to a second three-year term. 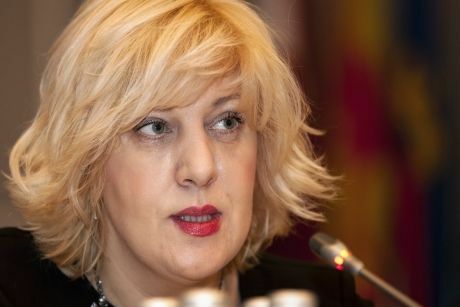 Dunja Mijatović was appointed OSCE Representative on Freedom of the Media in March 2010. She was previously Director of the Broadcasting Division of the Communication Regulatory Agency (CRA) of Bosnia and Herzegovina and Chairperson of EPRA, the European Platform of Regulatory Authorities. The function of the Representative, whose office is based in Vienna, is to observe relevant media developments in OSCE participating States with a view of providing early warning on violations of freedom of expression. The Representative's second main task is to help participating States by advocating and promoting full compliance with OSCE principles and commitments regarding freedom of expression and free media by providing assistance, such as legal expertise, workshops, and publications. The safety of journalists and Internet freedom are the two priorities of her mandate.